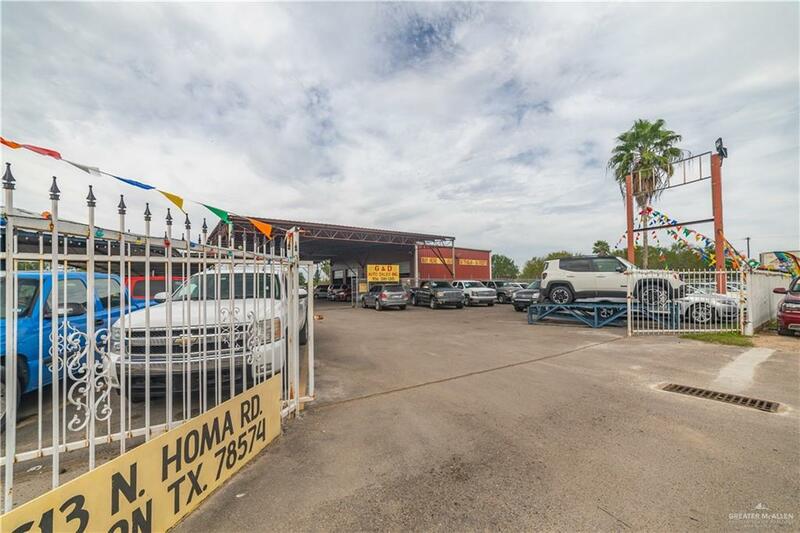 Five (5) acre commercial property with frontage to La Homa Road in Mission, Texas. 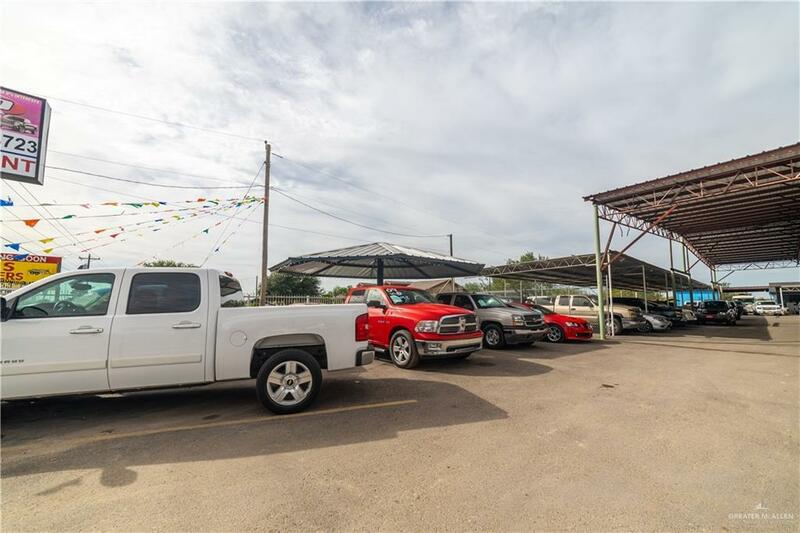 The commercial front is currently used as a pre-owned auto dealership with large asphalt parking area, two covered showrooms, and four (4) auto repair garages, with an auto lift. There is also a separate car wash bay, a structure with a Kitchen/dining area and office structure with large waiting room and bathrooms. 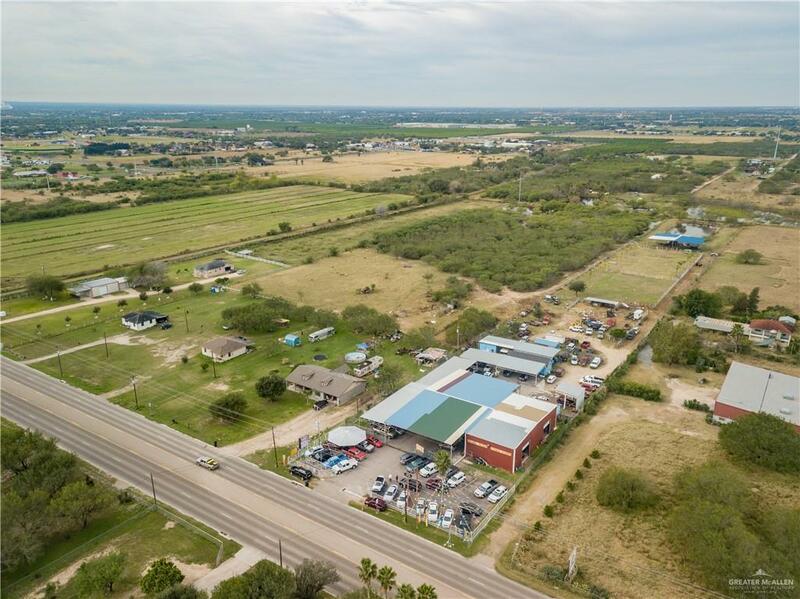 Towards the back of the property is a working well that feeds the 4 acre sprinkler system and pond; there is a large roof and livestock pens near the pond.